An accomplished lawyer, curious explorer, tech pioneer and sought-after speaker, Delida Costin has carved multiple trails with an abiding appreciation for history and possibility. She has been honored as a Leading Woman in Tech Law and as one of the Bay Area’s Most Influential Women in Business. Delida’s twenty two-year career reflects her attraction to novel, uncertain, game-changing questions. She has advised companies and other organizations that have sparked industry-wide transformation with innovative technologies or adaption to evolving environments. Products that rip through culture, revolutionizing consumer expectations and behavior, appeal to Delida’s lifelong fascination with adventure. Her legal practice redefines possibilities in the charged space and time after consumers adopt a new product, but before the cases are heard and the statutes are enacted. In 2015, Delida served as general counsel at lynda.com, which is dedicated to helping individuals transform their lives through online learning. She assisted with the company’s sale to LinkedIn in May of that year. In 2015, she also joined the advisory board of imageSurge, a company focused on converting storefronts into street-side touch interactive digital experiences. Delida joined Pandora Media in 2010 where she served until 2014 as the company’s first senior vice president, general counsel and secretary. 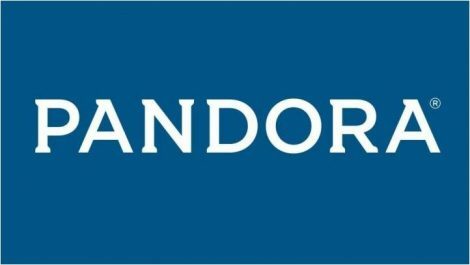 As Pandora’s first lawyer, she built and led the legal team that took the company public in 2011 and initiated groundbreaking digital music copyright discussions that will help transform the copyright and antitrust boundaries for digital music delivery. She had responsibility for the company’s global legal matters, including those related to corporate governance, securities, commercial transactions, litigation, and intellectual property. Delida was vice president and assistant general counsel at CNET Networks (subsequently purchased by CBS), an Internet pioneer that helped innovate early online advertising. She helped CNET develop one of the first comprehensive repositories for safe downloads, making decisions about peer-to-peer software accessibility in the midst of legal challenges. In 2007, Delida founded a law firm that was focused on providing service to small business owners who sought legal help but for whom large Bay Area and New York firms were prohibitively expensive. Delida is a member of the board of directors of the Oakland Symphony. She previously served as the board chair of the Lincoln Child Center, an organization that has served abused, neglected and emotionally challenged children and their families throughout the Bay Area for more than 125 years. She was also on the board of Techbridge, an Oakland-based organization dedicated to expanding academic and career options for girls in science, technology, and engineering. During her career she has worked to ensure that prisoners have access to law libraries, taught English to Hmong kids, won political asylum for a Haitian immigrant, served as a sexual assault hotline crisis counselor, and advocated for sexual assault survivors as they interacted with medical and law enforcement personnel. Delida earned her undergraduate degree from Northwestern University where she majored in history and international studies. She attended Boston University School of Law before joining the law firms of Goodwin Procter LLP in Boston and Pillsbury Winthrop Shaw Pittman in Palo Alto. Bar admission in California, New York and Massachusetts.